Stay at “Salerno Centro” Bed and Breakfast, book a room in an sixteenth (16th) century historic building (originally a convent), in the most central point of the charming city Salerno! We are located about 0,5 mile from Salerno railway station: an easy and pleasant 15-minute walk along the pedestrianized Corso Vittorio Emanuele, then a short left turn at the “Piazza Sedile di Portanova”, the most famous square of Salerno (we are located on the left – look for our sign). Our historical house is near the most important attractions of Salerno, such as “Il Duomo di Salerno” and “Il Giardino della Minerva”and only about 0,5 mile from the ferries which connect Salerno with world famous destinations such as Capri, Amalfi and Positano. Are you looking for an accommodation in Salerno with a familiar atmosphere without missing your last e-mail? If so, stay in an international spot, “Salerno Centro” Bed and Breakfast, where you can meet worldwide travellers with worldwide culture! We offer free wi-fi connection, clean rooms, a quiet and relaxing atmosphere and can provide all the information and recommendations you need to make your travelling “stress-free”. 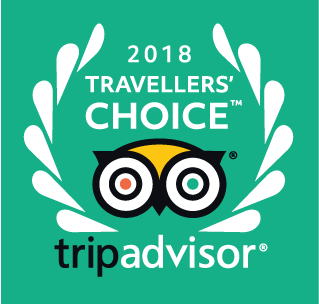 We are proud to have attained 5th position as a winner of TripAdvisor travellers’ choice awards for “b&bs and Inns” in Italy, as well as 14th position of Tripadvisor travellers’ choice awards for “b&bs and inns” in Europe. 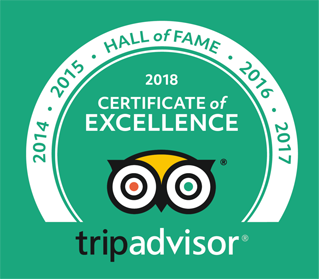 Since 2012 we have been TripAdvisor’s top “Bed and Breakfast” choice in Salerno with the Certificate of Excellence. Also we have got the Tripadvisor Hall of Fame.